The Contour Generation 2 spray proof range has been designed to follow on from the success of our contour spray proof panels. 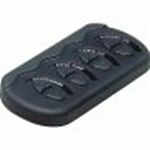 The switch tray is molded plastic with a rubber gasket and seal molded into the plastic. Labels are LED backlit for easy nighttime viewing. Can be mounted vertical or horizontal. Supplied complete with on/off switches. These can be interchanged with a variety of different switch options.